My black cloud is legendary at work. Nay, almost beyond legendary. To the point that one Halloween, one of the other docs threatened to buy me the Dark Lord of the Sith mask for my costume. Well, I’ve decided to embrace it. I’m owning up to my dark side. After all, the dark side has cookies, right? 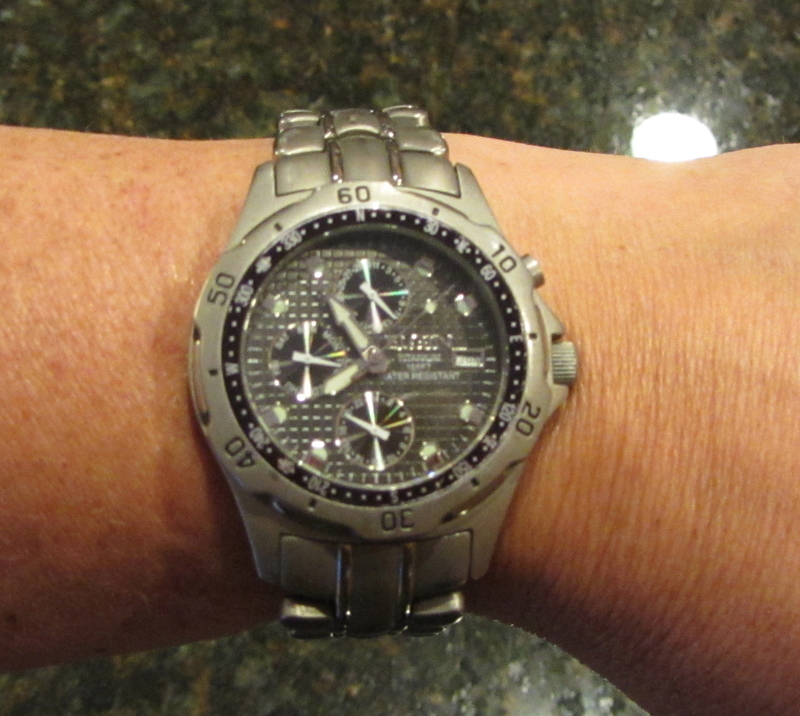 My watch for work has always been a fairly serious watch, with lots of dials and numbers on it to help keep me straight. Day and date, month, day of the week, hour both in 12- and 24-hour time. All that. 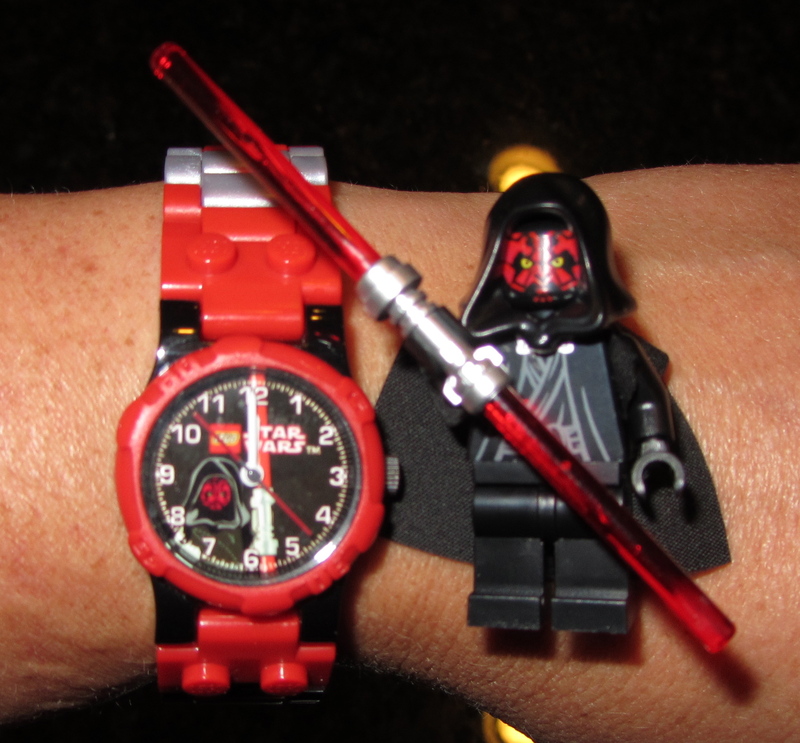 But now I have my “Dark Side” watch. It is quite fitting, I think, given my reputation. Everyone at work sure seems to think so. It’s also quite fitting given my hoard of Legos in the basement.